Gareth O'Sullivan is a frequent traveller, digital marketer and content writer. He's 21 years young and has visited over 19 countries. Australia…one of the countries I’ve always wanted to visit, and not only because of the accent but the surroundings, the atmosphere and of course the kangaroos (along with plenty other animals). When it comes to accommodation in Perth, you’ll want to make sure you’re situated in the right area, with easy access to the local shops, top-notch restaurants and bars, along with the must-see attractions. 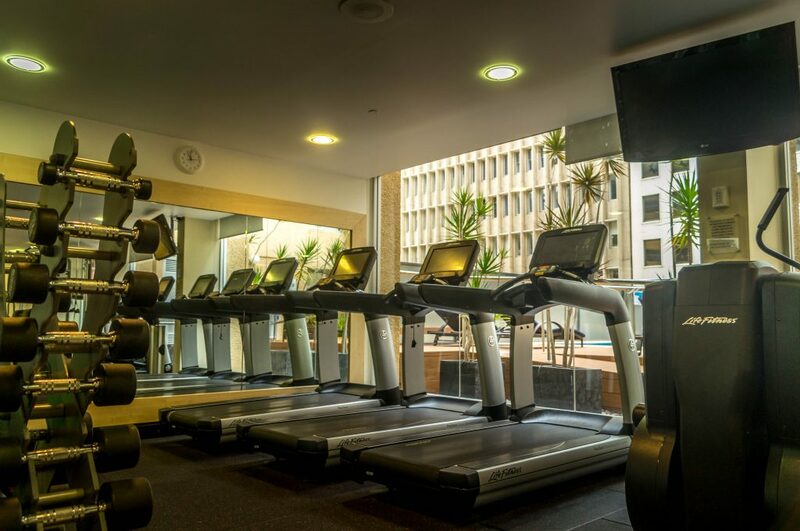 Parmelia Hilton Perth celebrating its 50th year for the first luxury hotel in Perth is a fantastic choice, especially for those who love luxurious travelling and accommodation. 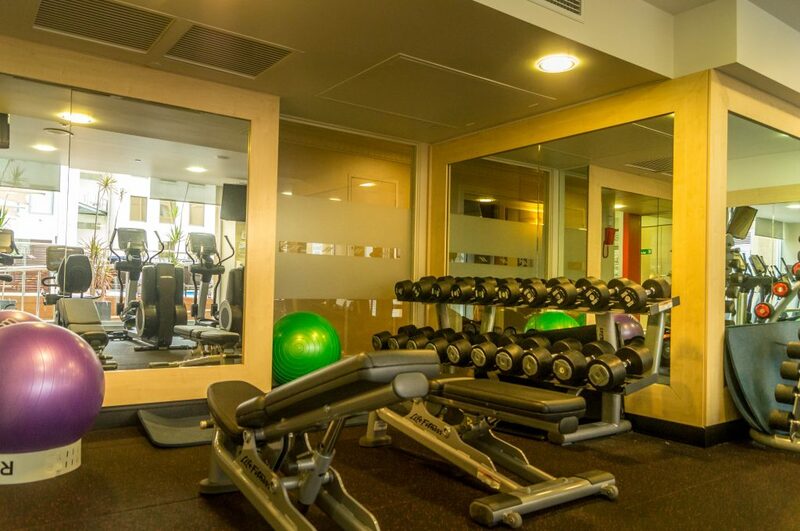 With 284 guestrooms, including 22 spacious suites, steaks and seafood at Adelphi Grill along with incredibly tasty breakfast available every morning, a fitness centre and outdoor pool you really can’t go wrong. 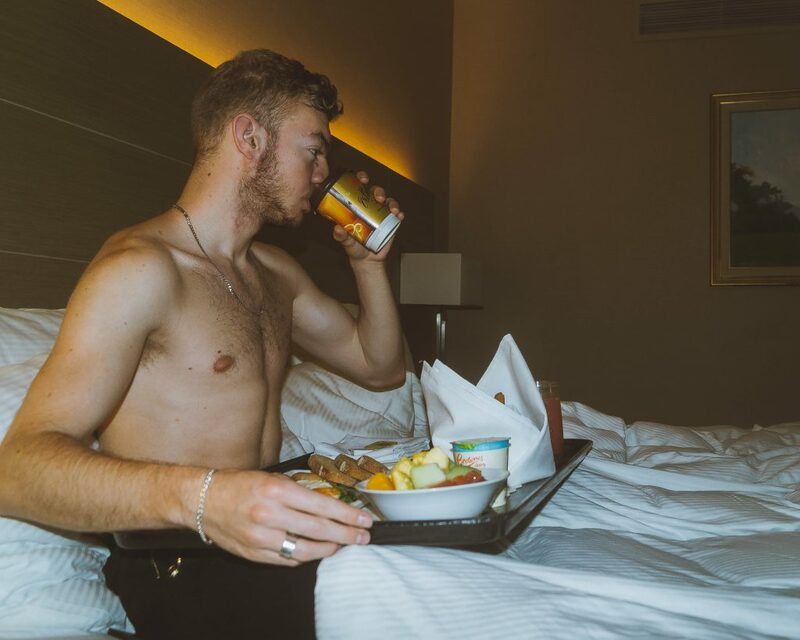 Top Tip: Consider getting breakfast delivered to the room, it’s well worth it. Also, book your trips with Scott Hulme, the head concierge – you’ll get discounts via booking with Hilton. With the incredible success, this hotel has had alone, they’re currently opening two more hotels also situated in Perth. DoubleTree by Hilton which is located on the waterfront and will include Panoramic Views of Swan River & City Skyline. 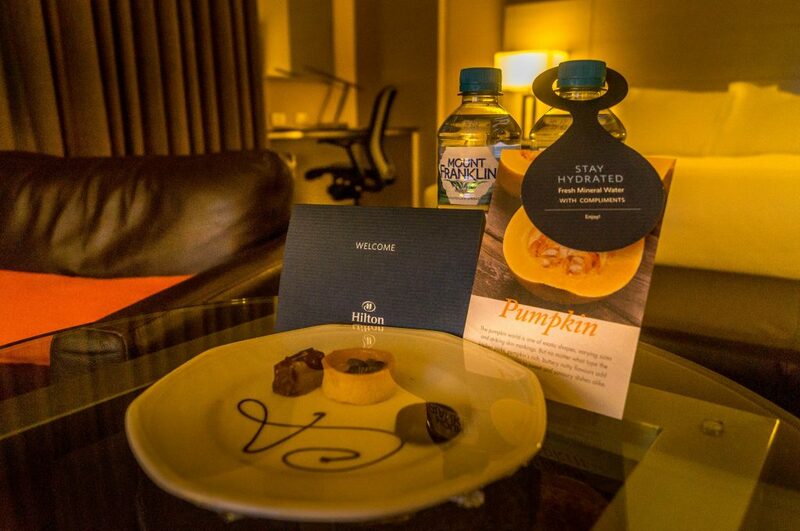 Being a frequent Hilton Hotel guest, I knew what to expect when arriving at the hotel. The staff were very friendly, welcoming and all had smiles on their face happy to help. The check-in was very quick and before I knew it, I was in the beautifully designed lift taking me to the sixth floor, for room 629 – King Hilton Deluxe. The location of this hotel is perfect. 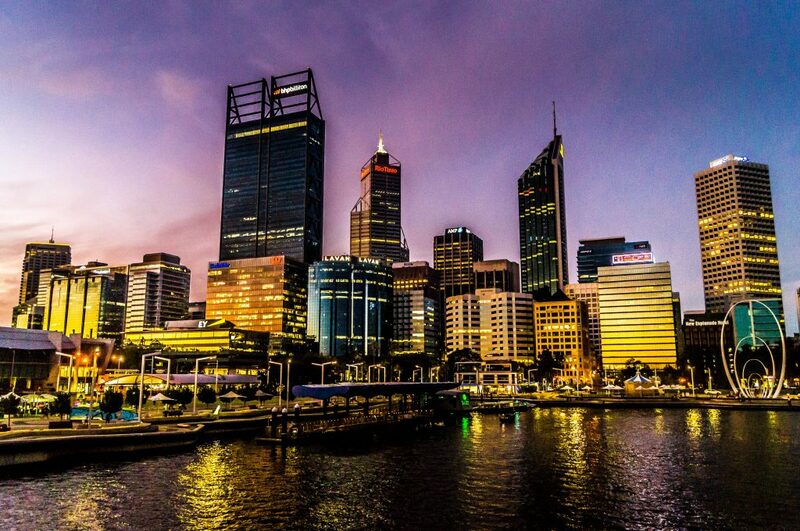 Situated just a 5 minute walk away from Elizabeth Quay on the Swan River, His Majesty’s Theater, top quality restaurants and bars and the Perth Arena complex all within short walking distance, you can’t go wrong. Local transport is available along with Ubers and Taxis, but if I’m honest, you’re able to walk to majority of the attractions. You even have the option to hire bicycles at a nearby shop. You will require transport to visit the beach, however, that works out cheap when using an Uber or public transport, so not much of a problem. For my visit to Australia, I stayed in the King Hilton Deluxe room at Parmelia Hilton Hotel Perth. The spacious 46 sqm room accommodates up to two people and is a fantastic choice for business travellers, a romantic couples retreat and perfect for luxury solo travellers. 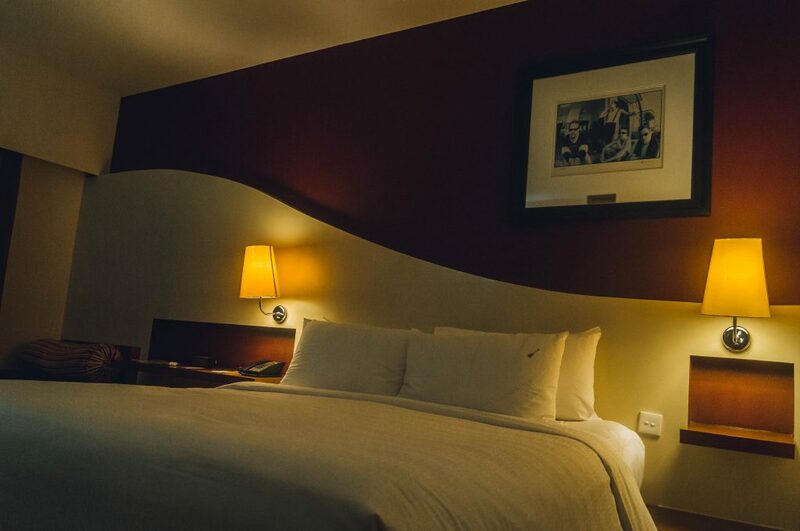 The room had it all, from a super comfy king bed to a stunning large bathroom, seating area and 37-inch TV with complimentary cable channels, you’ll feel like there is nothing else needed to make your stay unforgettable. The safe was very spacious and suitable to store iPads, Mac’s and many large gadgets. The WiFi was extremely fast and I never had an issue with loading a page on any device. I’m happy to report the room was very comfortable, clean, beautifully designed and worth looking into if you decide to book a special luxury Australian getaway. The hotel has it’s own Adelphi Grill, which is open daily for breakfast, lunch, dinner and drinks. 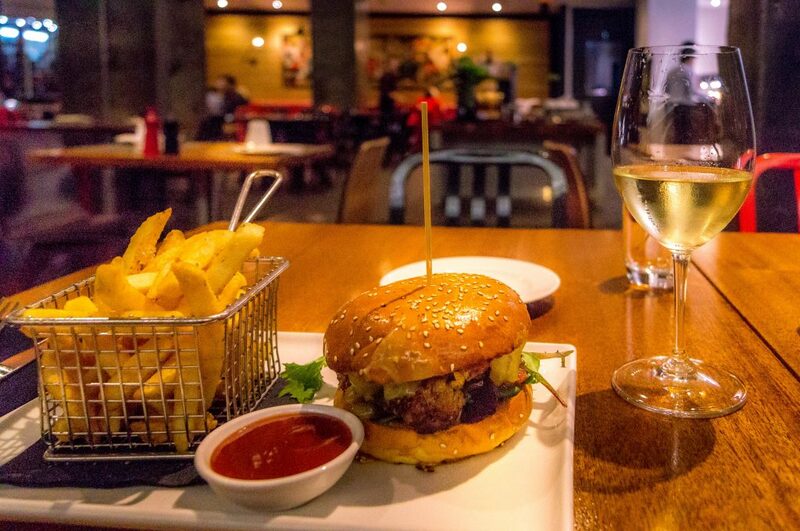 The restaurant specialises in serving sizzling steaks, meats, and fish on the grill with boutique beers and wines in a contemporary, relaxed atmosphere. The opening hours are Monday – Friday 6:30 am – 12:00 am, Saturday and Sunday 7:00 am – 12:00 am. During my stay, I enjoyed a delicious daily buffet breakfast and mouth-watering dinners. All of which were very tasty and presented very well. There is a great selection of food and drinks available all at reasonable prices. I experienced no negatives during my stay. This hotel was very well presented with very friendly knowledgeable staff and local amenities close by. 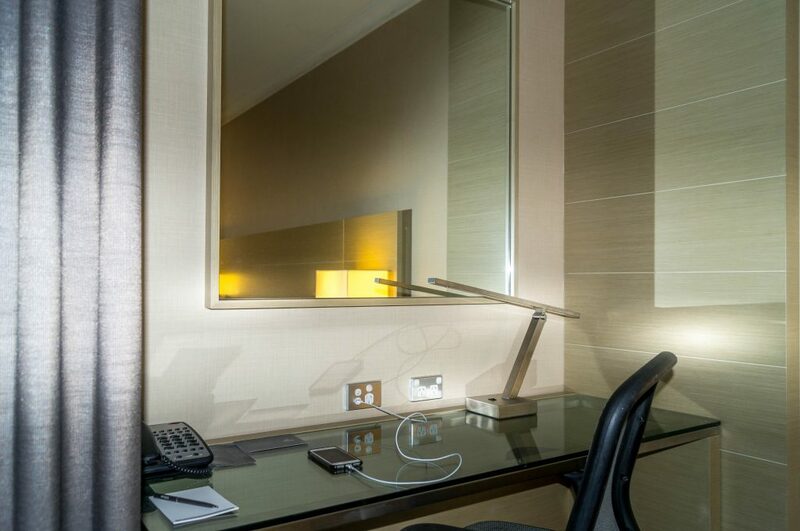 Parmelia Hilton Hotel is the perfect choice for those who love luxurious accommodation. There’s plenty of local bars and restaurants nearby along with popular attractions within short walking distance. 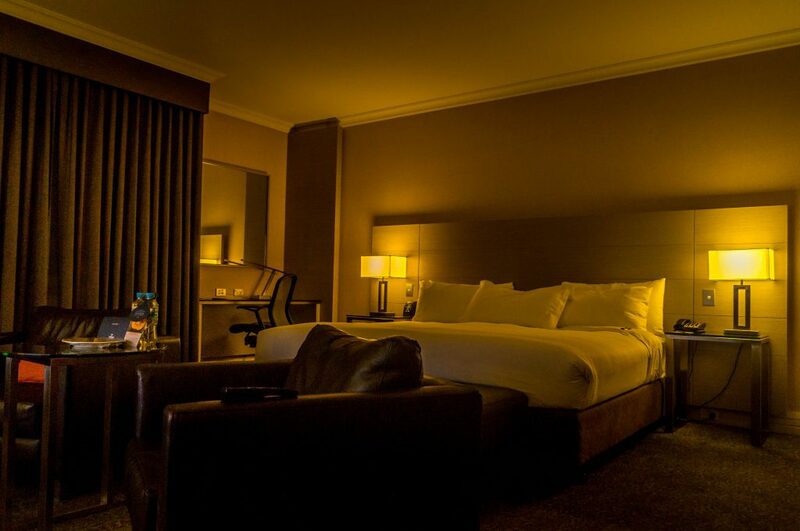 Rooms start from $244/night, but if you’re a Hilton Honors member, you’ll be able to get discounted rates. 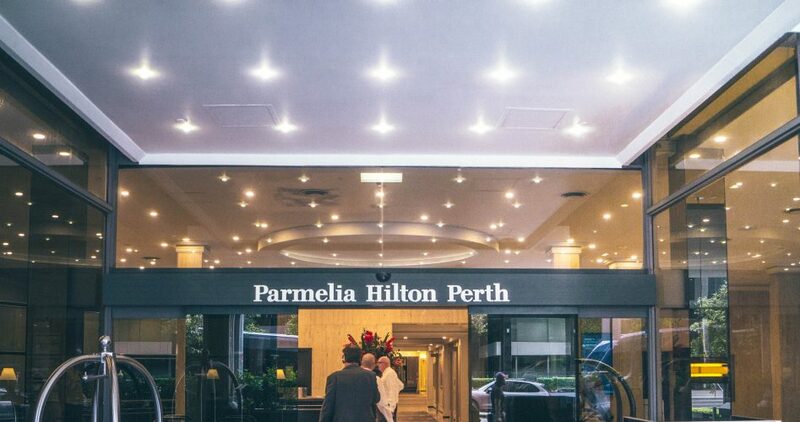 Disclosure: My stay was hosted by Parmelia Hilton Perth, but all views are my own and reflect my stay accurately. Desperate to jet off to a warm beautiful country with plenty of exciting adventures awaiting? Indonesia is the perfect country, more specifically, Bali is an ideal destination. With beautiful beaches, lots of temples and thrilling activities, what’s not to love? With super friendly, affordable yet luxurious and family-friendly accommodation at Hard Rock Hotel, there’s no reason not to visit. I’m happy to say, your search ends here for a luxury, fun and exciting stay full of friendly staff, mouth-watering restaurants and fantastic activities. Rooms: 418 rooms, 50% of which are being refurbished in June this year. Top Tip: If you’re into music and love to sing/play guitars, check out the on-site recording studio. Also, don’t miss out on the cocktail masterclass, get that booked – you won’t regret it. Whether you’re looking to visit Bali for a family holiday, a couple’s retreat or a just a solo adventure, Hard Rock Hotel caters for all. Kuta is a great location in Bali with lots going on, a great beach with beautiful sunsets, a strip full of clubs and bars and plenty of shops available for you to grab a bargain. 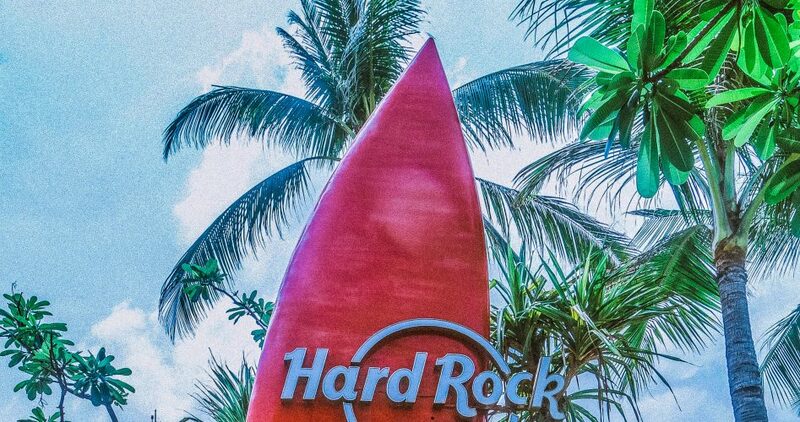 Hard Rock Hotel is situated right near the beach, just a short walk across the road and you’ll soon be stepping on the beach of Kuta. 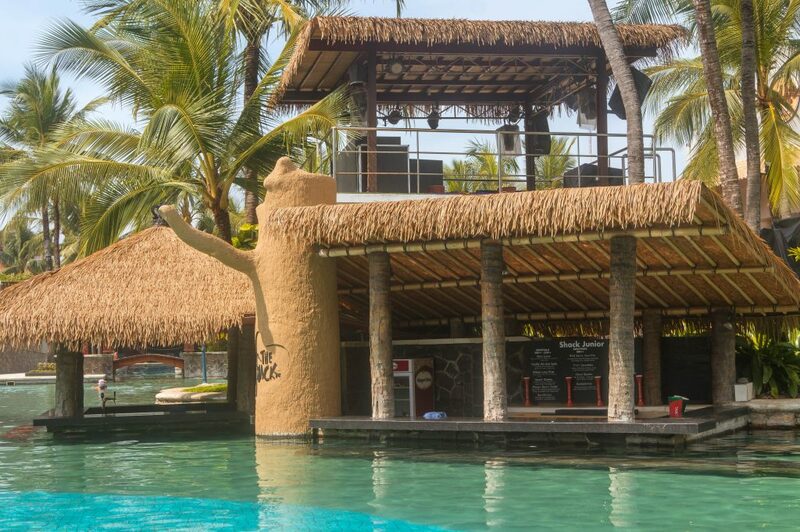 As you may have guessed, a popular chain such as Hard Rock not only offers guests a very comfortable and relaxed stay, they ensure you have the best time possible whilst in Bali. 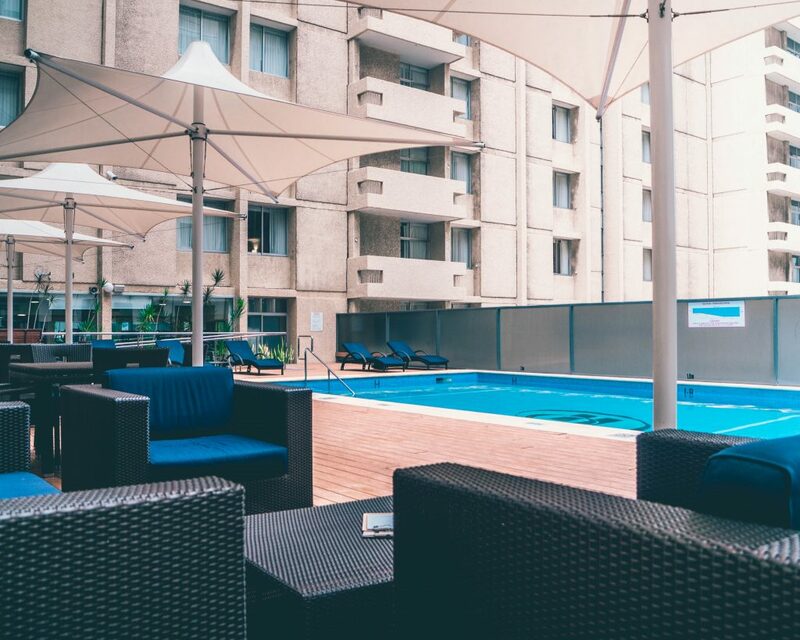 Each and every room is equipped with a bathroom which includes a very well designed shower and bath, very comfy beds, large pillows, work-desk, flat screen TV stocked with various new films available to watch for free, a mini-bar and more. 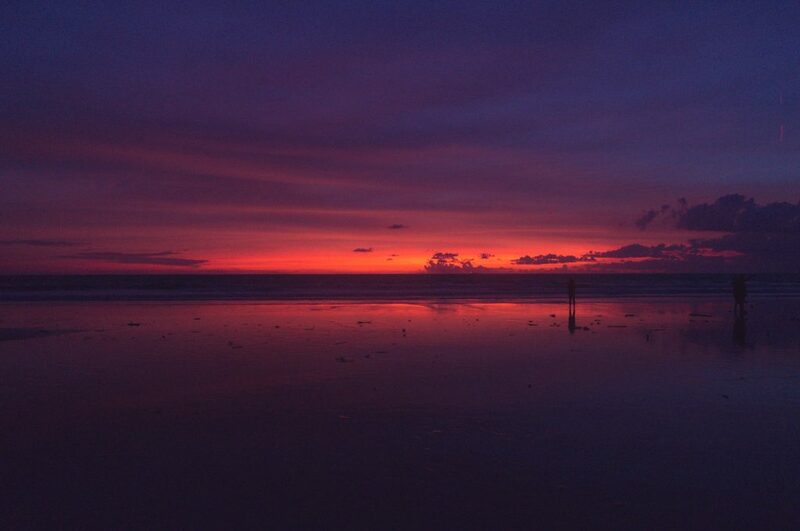 Kuta is Bali’s most popular tourist destinations, especially for surfing sports enthusiasts. The area is also full of star hotels, restaurants, villas, malls, and so forth, making it the perfect location for an enjoyable getaway. Hard Rock Hotel is situated directly in front of Kuta Beach with access to the beach just across the road. 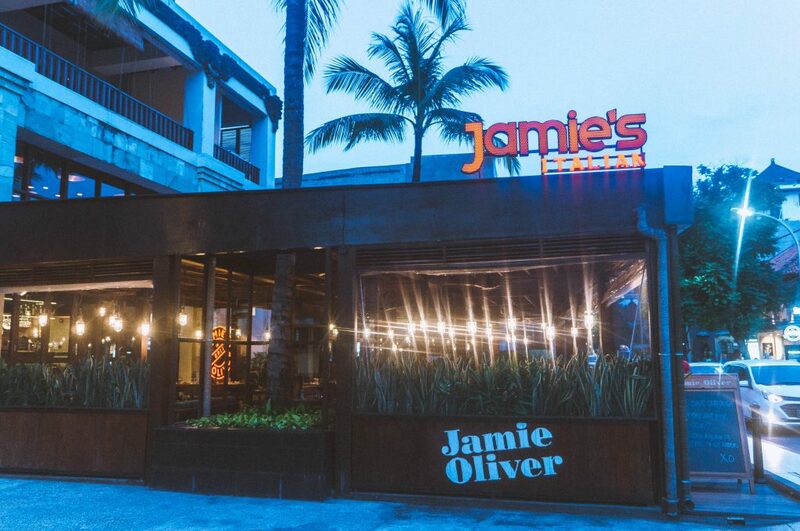 The surrounding areas of the hotel include many shops and restaurants including Hard Rock Hotel Bali’s Jamie’s Italian. After checking in at Hard Rock Hotel Bali which was very quick and easy, I proceeded to my room 6414. The Deluxe room was very spacious and had plenty to offer. The room accommodates up to 2 adults and 2 children. I was also impressed with the flat screen TV being personalised with a welcome message displaying my name and a quick guide. Before unwinding, I had a quick hotel tour followed by a cocktail masterclass, which I highly recommend – such an exciting and fun experience! 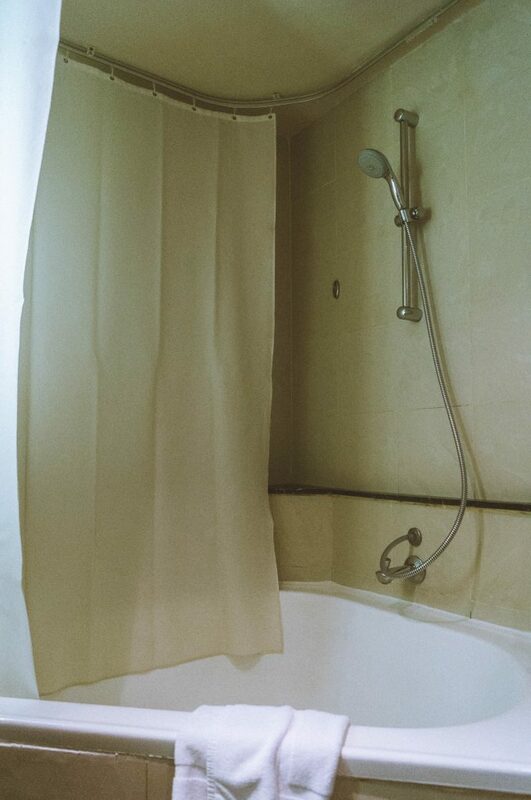 This room consisted of a shower and bathtub all in one. The bathroom also had a basket of the all the amenities you’d need including a toothbrush, toothpaste, shower gel, shampoo, hairdryer etc. I’m pleased to report the room was very comfortable and had everything for a relaxful yet exciting and fun stay. Where do I even begin? 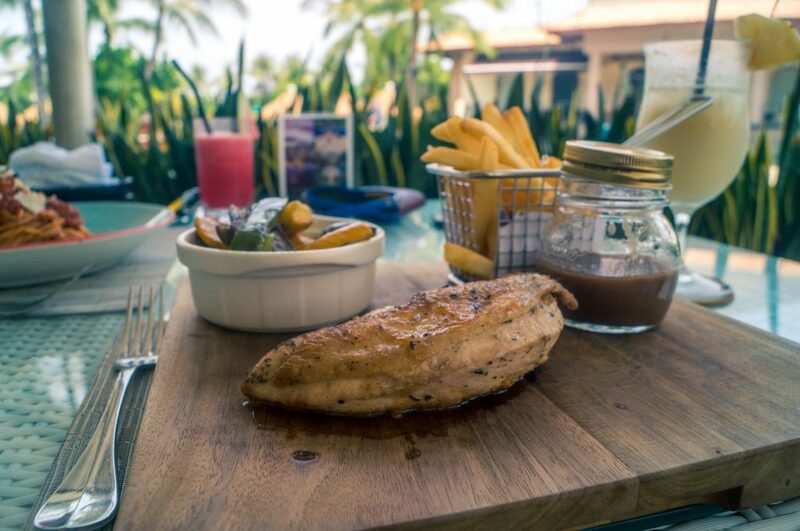 When staying at Hard Rock Hotel Bali you’re given various options when it comes to breakfast, lunch and dinner. The hotel has 8 restaurants and bars. From the very popular Hard Rock Cafe to Jamie’s Italian, you’ll have plenty to choose from, all serving delicious foods. During my stay, I had breakfast at Starz Diner twice, lunch at Jamie Italian and lunch at the Splash Bistro. All of which were great and had very friendly staff and service. 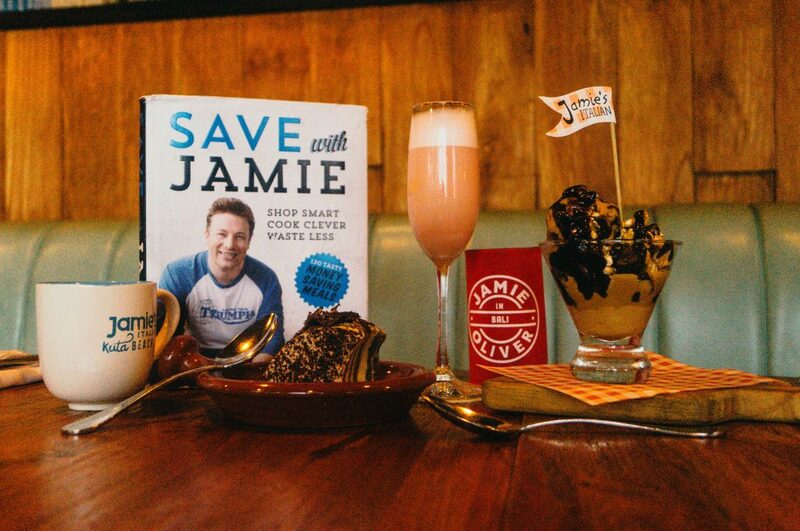 Being a big Jamie Oliver fan, I was excited when I knew they had a Jamie’s Italian. 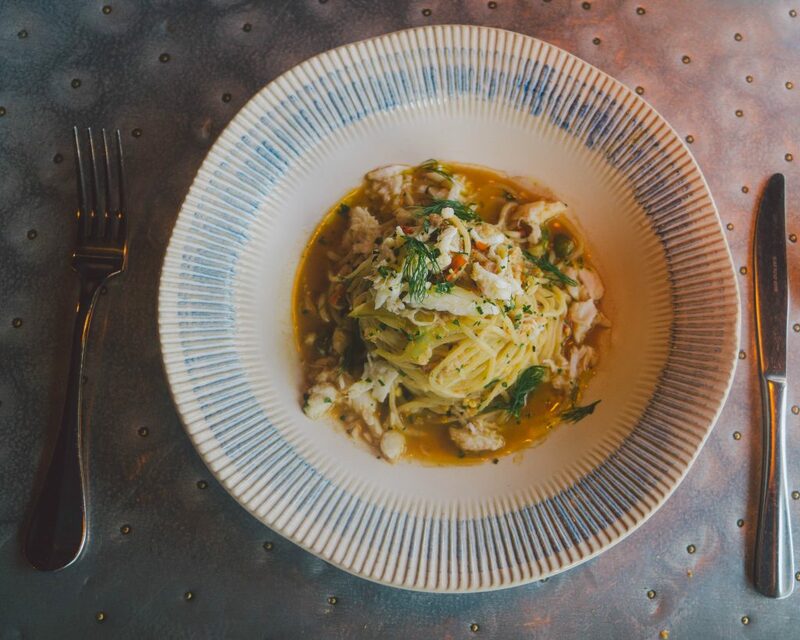 I decided to go for something different, something I’ve never had before – crab spaghetti…it was actually very tasty! I will definitely be having it again. The deserts were also extremely tasty, I would recommend the tiramisu! Don’t just limit yourself to just Jamie’s Italian, make sure you also visit the Splash Bistro for a fantastic delicious lunch. Safe isn’t big enough to fit an Apple Mac, but it’s the perfect size for an iPad or smaller gadgets. Thinking of booking a family holiday in Bali? or maybe a break for yourself and partner? 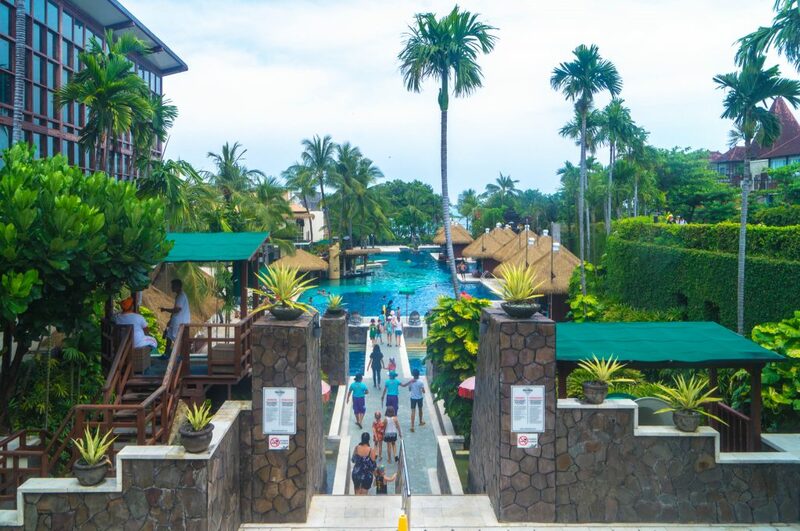 Well, Hard Rock Hotel Bali caters for all, and they have plenty of activities and services available for both kids and adults. With Kuta Beach right outside the hotel, friendly welcoming staff, plenty of restaurants, daily activities and entertainment, you’ll have an amazing unforgettable stay at this holiday resort. Disclosure: My stay was hosted by Hard Rock Hotel Bali, but all views are my own and reflect my stay accurately. 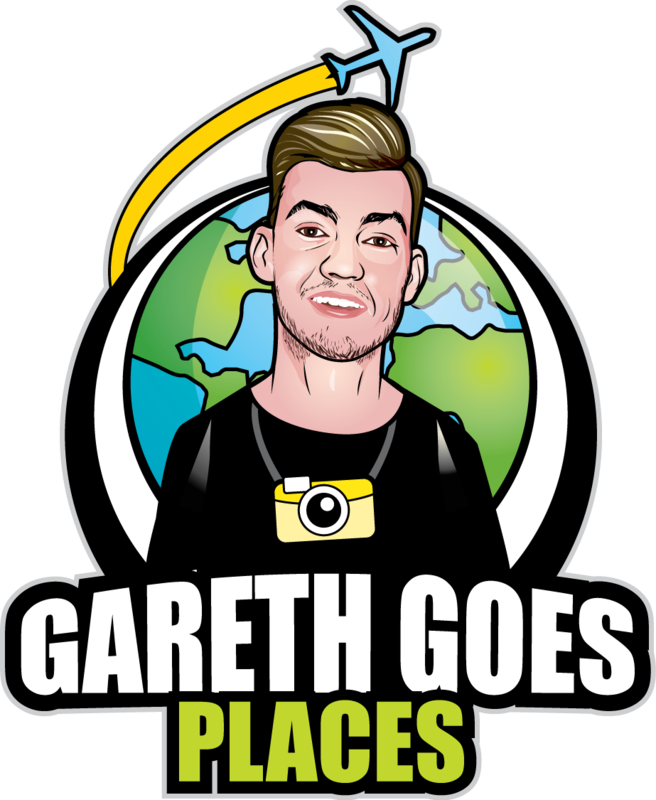 Gareth O'Sullivan is a frequent traveller, digital marketer and content writer. 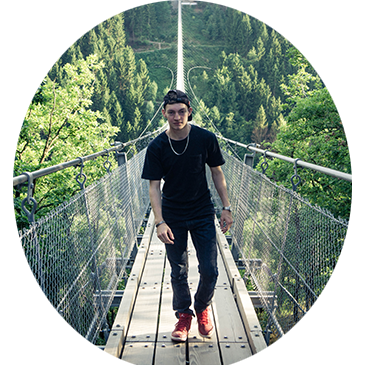 He's 21 years young and has visited 25 countries. Bali Waterfalls – What are and where are the best waterfalls in Bali?